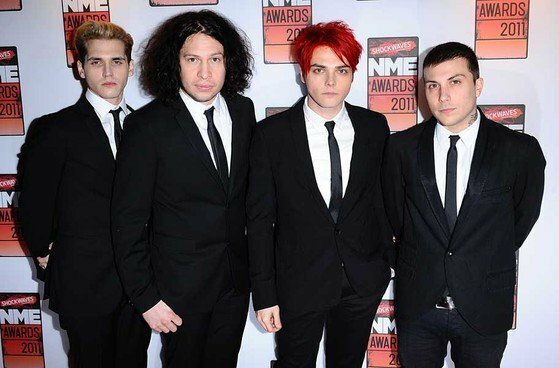 My Chemical Romance are keeping their single series alive and well today with the release of the new single, “The World Is Ugly.” The track hails from the third entry in the band’s current release series, and it hits the ears like a mixture between The Black Parade and Danger Days. I wouldn’t go as far as to call it a ballad, but it’s definitely a track that caters to those who love the group’s more emotive side. You can stream “The World Is Ugly” after the jump. In addition to continuing to work on new material, the Way brothers recently took a break from the studio to speak with director Kevin Smith about their career. Click here stream their first appearance on Smodcast.